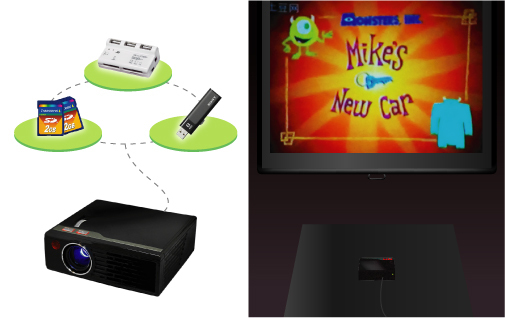 Sory teller & educati on purpose / home theater / personal theater Video Game display. SD CARD port configuration support SD Card up to 16GB easily operation & installation. 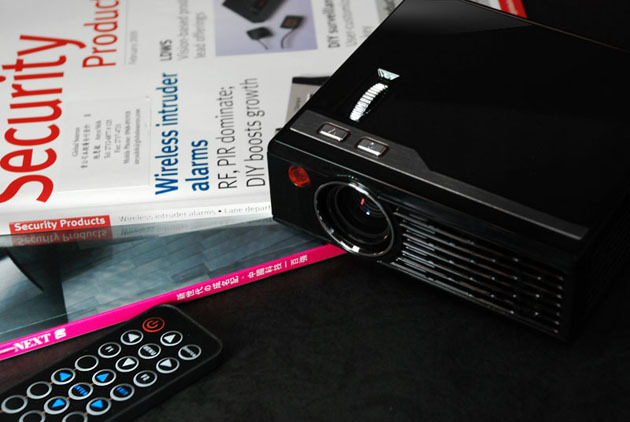 Support various program formats:flv asf wmv mp4 mpeg rm jpeg. 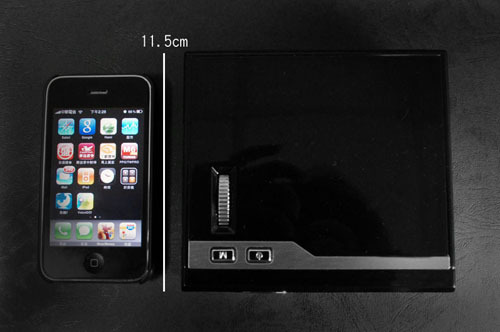 USB jack port support Internet downloading of FLV format. 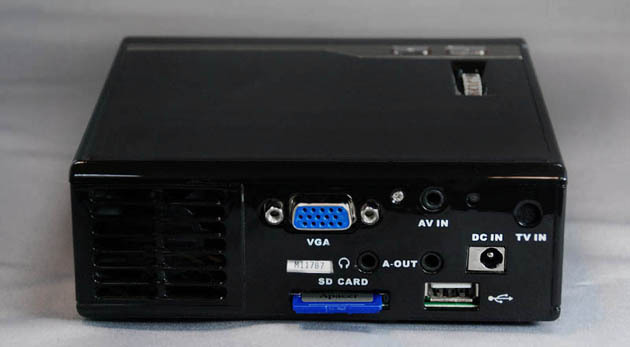 PAL / NTSC AVi compatible support DVD player, embedded 2W x 1 speakers. 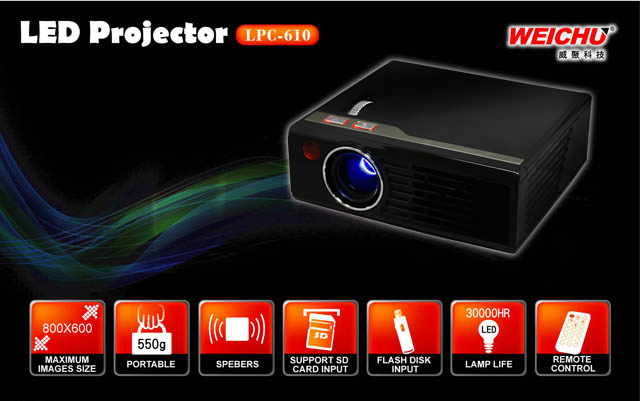 Projection distance 5.0M maximum image to about 150 inches. 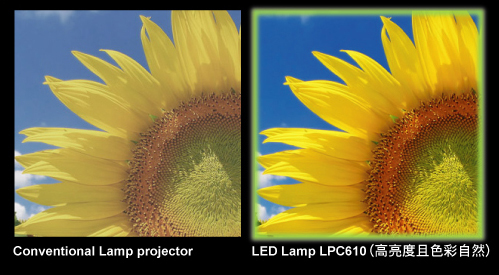 Speedy turn on/off, LED lamp light source extreme long life span up to 30,000 hrs. 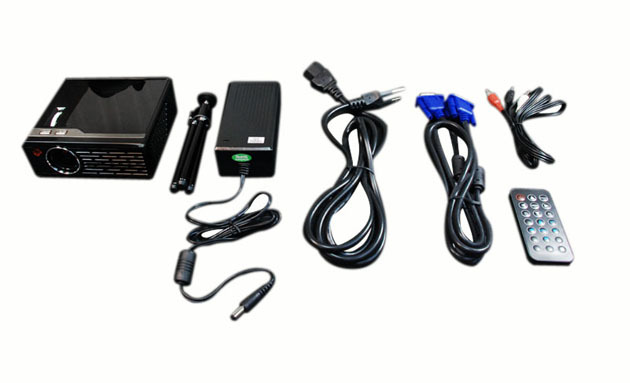 Includes connectors for USB, Computer, Lptop, DVD player, PS2, WII, XBox, AV, digital camera, PDA mobile phone, MP4 and PSP. 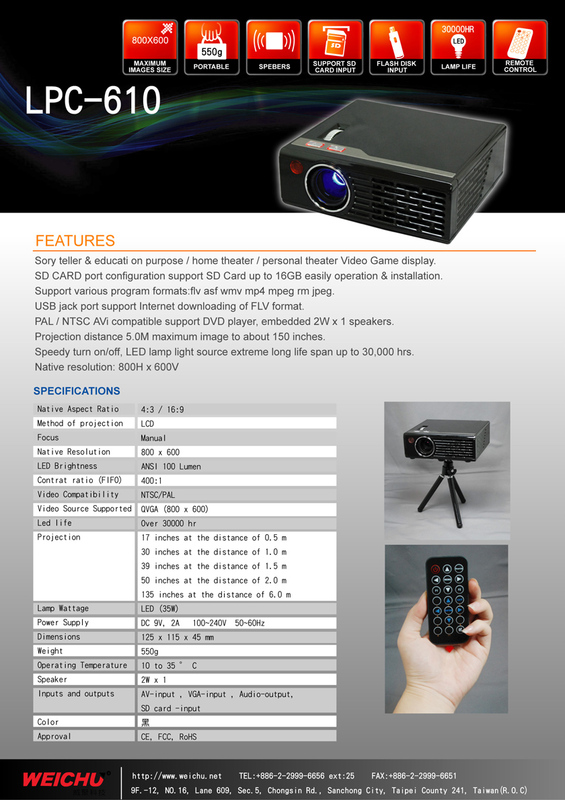 Contact us/Copyright © 2007 WEICHU Technology Co.,Ltd.